Become a part of our Firelands community. At BGSU Firelands, students can earn a degree – close to home and on our convenient campus – and for much less than the cost of going to other colleges. A small commuter campus of Bowling Green State University, our school is known for outstanding faculty, supportive staff and affordable tuition where students feel at home. We have programs that are ideal for students interested in completing general education requirements or who need more time to explore their options. Academic advisors will help students select the best program to meet their interests. 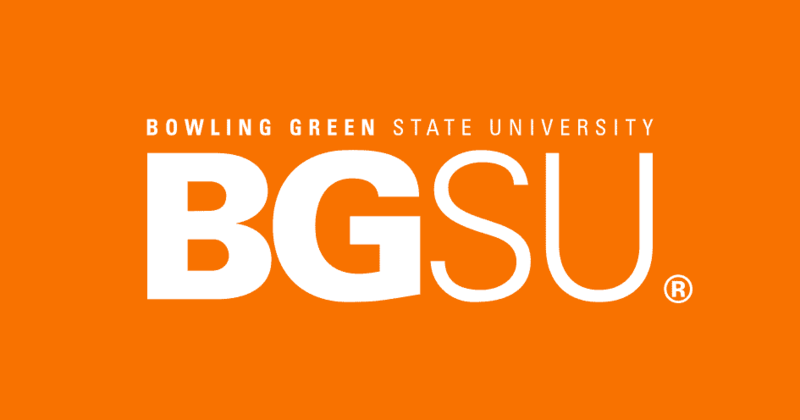 At any time, students can choose to pursue one of our career-focused degrees, or continue their journey from BGSU Firelands to the Bowling Green campus. BGSU Firelands has an open-door admission policy, enabling anyone with a high school diploma or equivalent GED to have access to a college education. Transfer students are welcome too. Learn more about application specifics including transcript information, GED, ACT or SAT test results, previous college credit and Advanced Placement testing. Stand Out at BGSU Firelands. We can help students achieve their goals. We have more than 30 programs in the Allied Health and Nursing, Business and Communication, Education and Human Service, and Technology fields. From associate degrees through bachelor's degrees, we have something for everyone. Many of our students go on to pursue a graduate or doctoral degree following graduation. The accounting major provides students with an understanding of various areas of accounting and an overall update of skills necessary for an accounting career. The associate of arts degree are extremely flexible, offering students the opportunity to sample a number of disciplines or tailor their studies according to special interests. The Associate of Science degree will provide a strong academic background, offering students the opportunity to sample a number of disciplines or tailor their studies according to special interests. The certificate programs in bookkeeping, management and supervision, and small business management serve the needs of students who are interested in beginning a business career. A bachelor’s degree in communication teaches you how to manage, negotiate, interpret, and facilitate human interaction within a variety of environments. The computer networking program teaches students to install, configure and support a corporation's computer network, and other necessities to networks available and operating well. The computer support specialists program teaches students to provide organizations and individuals with support in the selection and implementation of new software. The criminal justice program creates graduates who can critically assess issues using technical training, informed decision, and understanding human nature to impact the criminal justice system. The criminal justice degree provides students with an essential understanding of government, legal systems, people and their cultures to be successful in administering and enforcing laws. Diagnostic Medical Sonographers learn to use specialized equipment to create images of structures inside the human body, by infusing clinical decision making and patient education. Electromechanical technology major is focused on developing skills of technical knowledge and experience to meet the demands of modern integrated electro-mechanical systems. Electronics and computer engineering technology majors study electronic components such as transistors; electric motors; programmable logic controllers; and electronic communication circuits. General business management serve students who are interested in advancing a business career, updating skills and leaning new management techniques, through diverse business courses. Combining classroom concepts and hands-on experience, the human service major trains you to help individuals to cope with difficult situations to improve a person’s or family’s quality of life. The Inclusive Early Childhood Education Program is a highly competitive program that prepares teachers to construct developmentally appropriate education for all children ages 3-8. The Visual Media Technology Program offers practical, extensive hands-on laboratory experience and theoretical instruction, sculpted for students interested in the print and multimedia industries. Lean Systems Management is primarily concerned with planning, organizing and controlling manufacturing operation, including supervisory and management techniques and systems used in production. The liberal studies degree program is ideally suited for students with interdisciplinary interests beyond a single academic department or structured interdisciplinary program. The Nursing program teaches the fundamentals and concepts of nursing, providing patient care and education to the public, and learning to provide emotional support to patients and family members. Psychology, the study of mental processes and behavior, is a broad and continually growing field of study. Technical Studies in Radiologic Science provides diagnostic and therapeutic services, in a wide variety of clinical settings, by teaching use of current modern technology and critical thinking skills. Radiologic Technology degree program prepares you to provide optimum patient care as a radiographer, through an array of fundamental academic and clinical knowledge and patient/student interactions. The applied health science degree with respiratory care specialization is designed to prepare students for advanced practice in respiratory care. Respiratory therapists provide the hands-on care that helps people recover from a wide range of medical conditions, through mastery of laboratory techniques under a licensed clinical instruction. The Associate of Technical Study degree is designed to help you prepare for specialized technical occupations, enabling you to devote your talents and training to your occupational area of interest. The Management and Technology major can be taken online or in person, preparing students for careers in fields such as business, management, technology and quality systems. VCT graduates use print, photography, video, and interactive multimedia as problem-solving tools in a variety of work settings.